A new NTT IndyCar Series season will begin this weekend in the Streets of St. Petersburg, Florida with the Firestone Grand Prix. 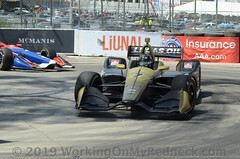 After an offseason full of preparation, Ed Carpenter Racing will embark on the 2019 campaign with its two full-time entries. The No. 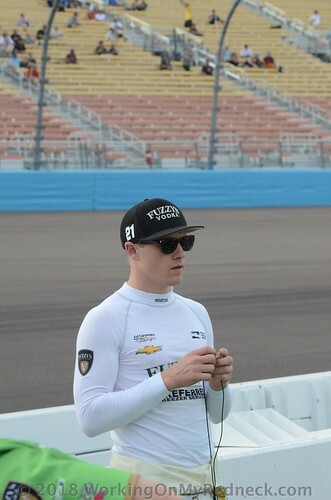 21 Chevrolet will feature a familiar face as Spencer Pigot returns for his fourth season with ECR, while Ed Jones will make his first start with the Indianapolis-based team as driver of the No. 20 Chevrolet. Jones, an Emirati born of British descent, formally joined ECR in October of 2018. In partnership with Scuderia Corsa, Jones will race the No. 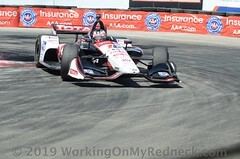 20 Ed Carpenter Racing Scuderia Corsa Chevrolet in the 12 road and street course events on the 2019 calendar. 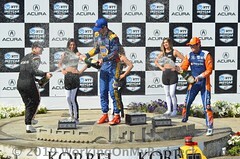 Additionally, ECR will again expand to a three-car lineup for the Indianapolis 500 as Jones will compete in the No. 64 Ed Carpenter Racing Scuderia Corsa Chevrolet. Team owner Ed Carpenter will step in to the No. 20 for the Indianapolis 500 and the four additional oval races. The pair of Indy Lights champions both began their NTT IndyCar Series careers on the 1.8-mile, 14-turn street circuit. Pigot, the 2015 Indy Lights champion, made his debut at St. Petersburg in 2016; Jones, the 2016 champion, followed in suit in 2017. 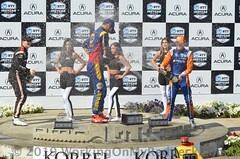 That May, Jones burst onto the scene with a third-place finish in his Indianapolis 500 debut. His year-long performance earned him 2017 Rookie of the Year honors, which he followed up with podium finishes at Detroit and Long Beach in 2018. Aside from Carpenter, who has driven the No. 20 since ECR’s inception in 2012, the team’s longest tenured driver is now the 25-year-old Pigot. 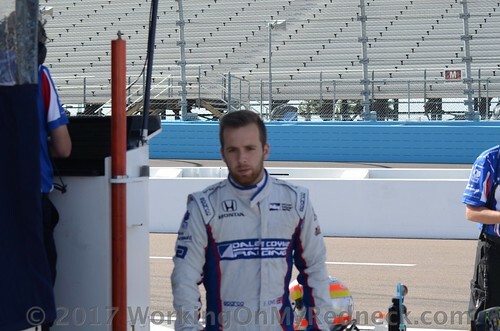 2019 will be his fourth year with the Indianapolis-based team and his fourth season as an NTT IndyCar Series driver. The Orlando, Fla.-native spent two seasons as road and street course driver of the No. 20 before being elevated to the team’s full-time No. 21 entry in 2018, a role in which he will continue in 2019. All but four of Pigot’s 39 starts have come with ECR. Milestones of Pigot’s 2018 season included career-best qualifying and finishing positions on each type of track the NTT IndyCar Series competes on: street courses, road courses and ovals. Though Pigot had driven the in two previous Indianapolis 500s, last year’s was his first with ECR. He made the prestigious Fast Nine Shootout for the pole position and would line up 6th, his best starting position to date. 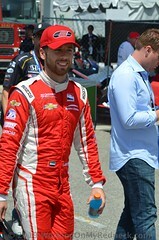 He concluded his first full-time campaign with the three highest results of his Indy car career, including his first podium finish with a second place at Iowa Speedway. Florida-based Autogeek.com has once again expanded their relationship with ECR. 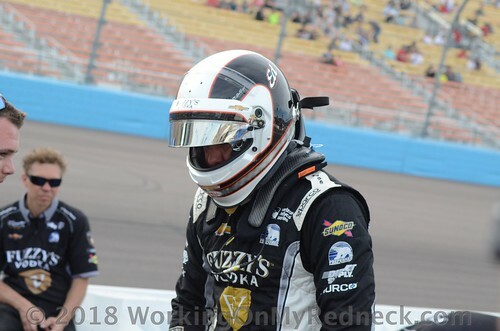 After serving as the primary partner on Pigot’s car at the season-opening racing in 2018, both the Nos. 20 and 21 will carry the colors of the car care superstore in this year’s Firestone Grand Prix of St. Petersburg. Over the last 15 years, Autogeek has risen to become one of the most reputable and trusted sources for automotive detailing products and accessories. Through detailing how-to guides and instructional videos, Autogeek provides a wealth of car care know-how for detailers, hobbyists and car care enthusiasts. Day-to-day operations at Ed Carpenter Racing remain under the direction of General Manager Tim Broyles and chief mechanic Bret Schmitt. Leadership on the No. 21 also features consistency with ECR chief engineer Matt Barnes serving as Pigot’s lead engineer and Jeff Frederick as crew chief. 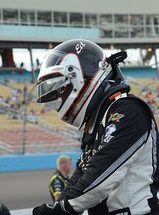 ECR has welcomed Peter Craik back to Indy car racing after a four-year tenure in the NASCAR Cup Series, during which he won the 2017 championship. Craik will assume the role of lead engineer on the No. 20 and will be joined by longtime ECR employee Nick Cooper, who has been promoted to crew chief. Strategists continue to be Brent “Woody” Harvey for Pigot and Broyles for the No. 20 car, a position he has held since ECR’s first race in 2012. Nearly a dozen of the team’s 40 employees are original hires, including Broyles, Schmitt, Barnes and Harvey. Practice for the Firestone Grand Prix of St. Petersburg will take place on Friday, March 8 and Saturday, March 9, followed by qualifications on Saturday afternoon. Live streaming of all practice and qualifying sessions will be available through INDYCAR Pass via NBC Sports Gold. The 2019 NTT IndyCar Series will officially begin at 1:37 p.m. ET on Sunday, March 10 at the drop of the green flag for the 110-lap race. Live coverage will begin at 12:30 p.m. ET on NBC Sports Network.